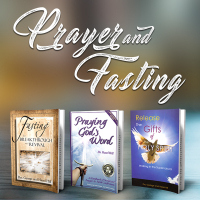 Join with Pastor George and Pastor Hazel Hill as they pray and fast throught the month of January. These episodes are live through the month of January in the morning at 7:30am MST - Mountain Standard Time on facebook. We would love to have you join us there. Missed a couple? Watch them all below right here on VictoryTV. Join Pastor George and Pastor Hazel hill for a time of prayer and fasting through the month of January.